We design and manufacture all of our products. With engineering teams in the US, Taiwan and Malaysia, as well as our own Malaysian manufacturing facilities, we control the quality and workmanship of our telephones from beginning to end, at every stage of the process. At AEI, we believe in providing world-class service with in-depth knowledge of the hospitality and cruise line industries. Our innovative, stylish designs meet and often exceed the high expectations of hoteliers and cruise ship owners and operators worldwide. AEI’s product development and product design teams are a group of dedicated professionals with vast experience in both the IP and analogue worlds, who strive to incorporate the latest advances in technology into our products. The results are stylish, durable and customer-friendly telephones of the highest quality. As technology evolves, AEI is fully prepared to satisfy current and future hotel and cruise line telephony requirements through innovation and creativity. Our products are certified by all major PBX manufacturers, with whom we work closely to ensure seamless integration and deployment. 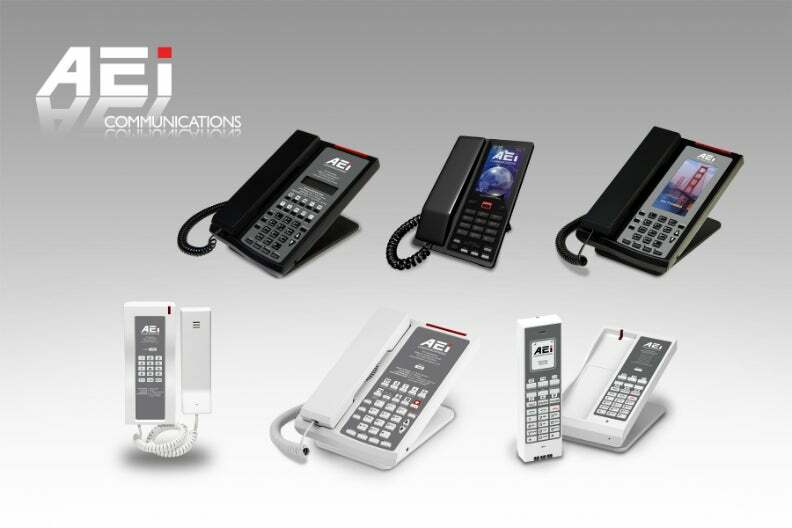 We offer four basic families of telephones: desktop, night stand, lobby / elevator landing and bathroom phones, in IP and analogue versions, in both corded and cordless designs. Our IP and analogue product families have similar looks to ease migration from legacy analogue to IP technologies, avoiding unnecessary disruptions. Our latest designs have been specifically created with the cruise line industry in mind. This family of phones offers large touchscreen color LCD displays. These are durable, and with a stylish design that fits perfectly in many different environments. We take pride in our technical proficiency and innovation, with a customer support tradition unparalleled in the industry. For more information about AEI, our high-quality products and growing list of satisfied customers, please visit our website or leave an enquiry using the form below. MSC Cruises’ MSC Bellissima is the second Meraviglia-generation ship being built by STX France at its Saint Nazaire shipyard. Crystal Esprit is the first ultra-luxurious yacht launched by Crystal Cruises, a cruise operator based in the US.